Sleek, simple to set up, energy and space-efficient — even with all the benefits all-in-one computers (AIOs) offer, they haven’t quite reached the ubiquity of their traditional desktop or laptop brethren. 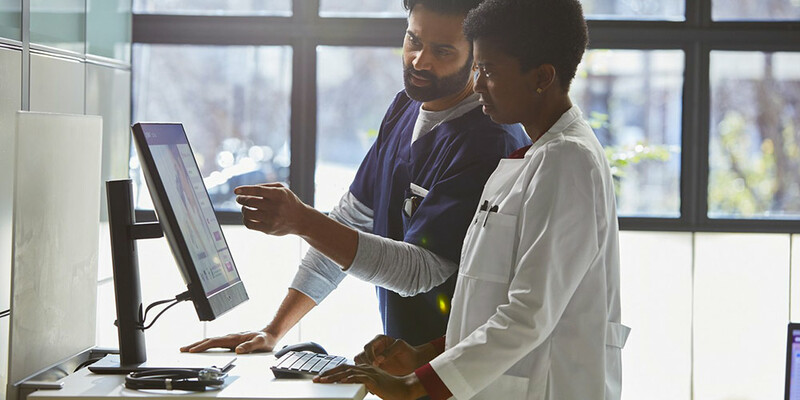 That’s partly because an AIO makes the most sense in a few specific use cases, not necessarily as the choice to outfit an entire workforce or family. Desk-centric workers who want the best of both worlds – When you spend your time at a desk, laptops with their smaller screens, built-in keyboards and touchpads aren’t the most comfortable and productive option. That said, desk-centric workers may still want some of the perks associated with laptops, like touchscreen technology and a built-in webcam. Small spaces – Whether it’s a retail salesperson with limited counter space, a dorm-dwelling student or a homeowner looking for a kitchen PC, dealing with tight spaces gets easier with the smaller footprint of an AIO compared to a traditional desktop and display. High-visibility areas – For workers who sit in high-visibility areas, such as office managers and receptionists, companies may prefer the aesthetics of an AIO to minimize wires and maximize first impressions. Our latest high-performance AIO is purpose-built for entertainment lovers, early adopters and customers looking for exceptional experiences like virtual reality and premium 4K viewing. It offers the power and graphics performance to support those experiences and some gaming as well, thanks to the latest Intel 8th Generation processors and available NVIDIA GTX 1050 graphics. Multimedia lovers will also enjoy the immersive, superior Dell Cinema experience with 27” InfinityEdge display with 4K UHD resolution. It also offers the security and convenience of Windows Hello support and an infrared camera for password-free login. But it goes a step further to protect privacy and prevent accidental, embarrassing video calls with a pop-up webcam design that stays off until you want it. But the biggest appeal may just be the design. My unshakable first impression of this AIO was wondering at how it looked no thicker than the 27” Dell display it was sitting next to, yet there was a high-performance PC with discrete graphics somehow hiding inside. For those outfitting for work rather than play, Dell’s new family of OptiPlex AIOs provide plenty of performance with 8th Gen Intel® Core™ processors, up to 32GB of DDR4 memory, a powerful discrete GPU option and available SSDs or Intel® Optane™ memory to quickly launch common applications and files for major productivity gains. 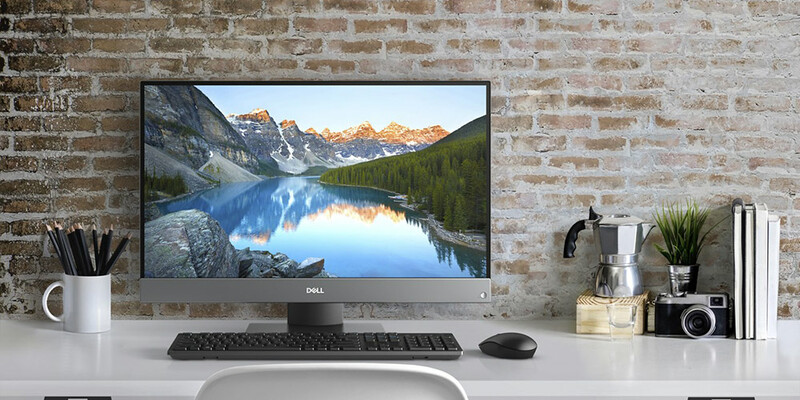 Similar to the Dell Inspiron 27 7000 AIO, the OptiPlex line features a pop-up webcam to for video collaboration, with optional infrared and full HD resolution to enable Windows Hello sign-on support and sharp video calls. And while that is the largest and most powerful AIO in the family, workers can also choose from the new 24” OptiPlex 7460 AIO or the new 22” OptiPlex 5260 AIO. So, AIOs are actually an excellent solution for certain combinations of customer needs, and we’re proud to offer some of the most powerful and functional options on the market. Whether you’re looking for a clutter-free way to enjoy movies, music or other entertainment, a smaller footprint for your limited workspace or just want a more beautiful machine, an AIO might be the option you didn’t realize, until now, that you really need.